"Green Man takes its science seriously." The inspiring Dr Suzi Gage was everywhere you looked around Einstein's Garden in 2015 - compering the Solar Stage, taking part in the Level Up Human podcast recording in the Omni Tent, and more besides. 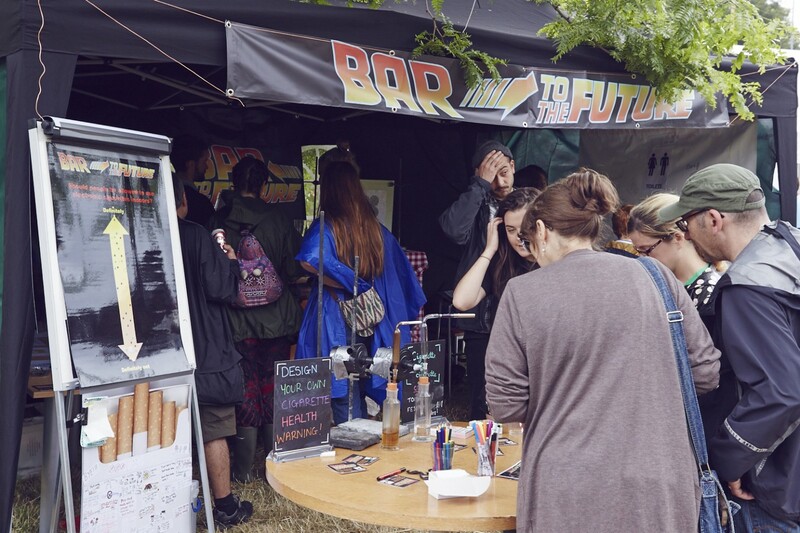 A drugs and mental health researcher within the University of Bristol Tobacco and Alcohol Research Group, she was also involved in 'Bar to the Future', one of our favourite science stalls of 2015. When she got back from the festival, she found the time to put together a lovely write-up of her experiences for the Guardian. Reading it makes us wish August would come around quicker! To hear more about her fascinating work, follow Suzi on Twitter. Green Man 2016 will light up the Brecon Beacons 18-21 August - check out the line up so far.